DSHD-261A Automatic Pensky-Martens Closed Cup Flash Point Tester - Buy Flash Point Tester, Closed Cup Flash Point Tester, Automatic Pensky-Martens Closed Cup Flas Product on Dshing Instrument Co.,Ltd. This instrument is designed and manufactured as per standards GB/T 261-2008 Determination of Flash Point - Pensky-Martens closed cup method and ASTM D93 Standard Test Methods for Flash Point by Pensky-Martens Closed Cup Tester. It is used to make determination of the closed cup flash point of the petroleum products. 1. Simulation tracking displays function curves of heating up and test time. 2. Equipped with the English prompt function of mis-operation. 3. 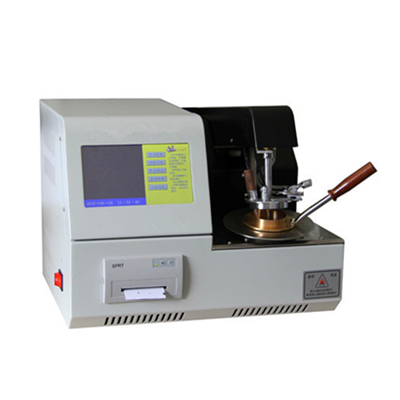 Equipped with prompt function of test date,test time and other parameters. 4. Automatically calibrate the effect of atmospheric pressure to test and calculate the corrected value. 5. Differential coefficient detection.Automatically correct the system deviation. 6. Automatically open the lid,detect the flash point and print test data. 7. The test arm rises up and lowers down automatically. 8. Igniting with electric igniting gun,forced air cooling. To be controled automatically. Can be adjusted manually.